May 27, 2015  The actor sued the retail giant for negligence last year after he was seriously injured in a crash in which his limousine was struck by a Wal-Mart truck traveling 20 mph over the speed limit. 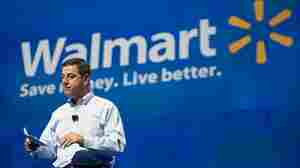 April 4, 2015  Wal-Mart conquered the suburbs, but its future may lie in smaller stores in dense city neighborhoods. And in our grab-and-go times, freshly prepared meals are a big part of its urban strategy. 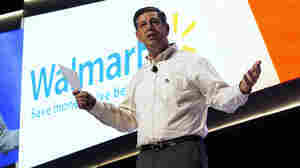 When Wal-Mart Comes To Town, What Does It Mean For Workers? 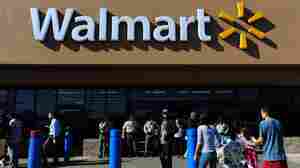 April 2, 2015  Wal-Mart has long been criticized for low pay and erratic work schedules. So when the retailer arrives in a community, it stirs controversy — but it also brings jobs and low prices. 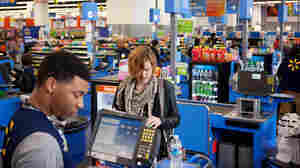 The Urban Neighborhood Wal-Mart: A Blessing Or A Curse? 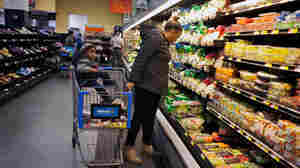 April 1, 2015  The nation's largest retailer is known for sprawling suburban and rural stores. 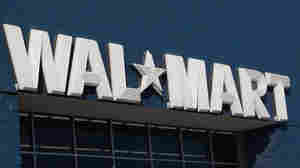 Now Wal-Mart is moving into city centers — sometimes despite strong local opposition. November 20, 2014  "Wal-Mart, come to your senses!" the protesters shouted. These vendors and hawkers are not happy that the retail giant plans to open 50 more stores. 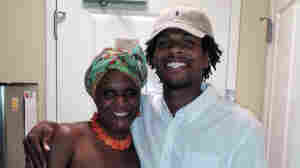 September 25, 2014  The Department of Justice says it will begin a review of police department procedures in Beavercreek, Ohio, where officers fatally shot a 22-year-old black man at a Wal-Mart store. 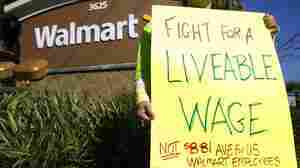 July 24, 2014  Wal-Mart, the nation's biggest company, affects the lives of millions of workers and shoppers. So its U.S. leadership change is attracting lots of interest. Here are some theories about what happened. 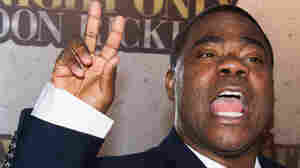 July 12, 2014  The comedian and television star of "Saturday Night Live" and "30 Rock" alleges negligence on the part of the retail giant, whose driver was exceeding the speed limit. 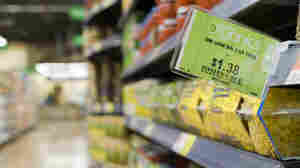 April 19, 2014  The giant retailer says it's adding a new line of organic food that's at least 25 percent cheaper. But a large-scale production and supply of organic food likely can't be achieved overnight. 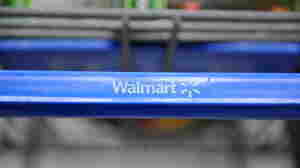 November 18, 2013  Critics say it proves the Arkansas-based retailer doesn't pay enough, but the company says it's just proof that workers care about each other. September 12, 2013  Mayor Vincent Gray ended weeks of speculation and vetoed the measure passed in July. 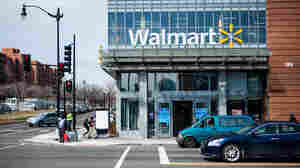 Wal-Mart threatened to halve the number of stores it plans to build in the district if the measure becomes law. August 15, 2013  A 2 percent rise in Social Security taxes that went into effect in January has had a negative impact on the company's cost-conscious shoppers. 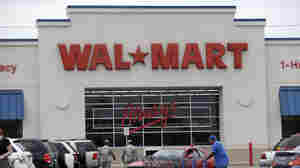 June 7, 2013  The annual shareholders' meeting of retailing giant Wal-Mart Stores Inc. was marked by protests this week, as striking workers assembled in Arkansas to call for higher wages and better safety rules. 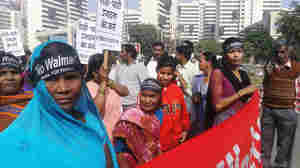 A former Bangladeshi garment worker spoke inside the meeting. May 6, 2013  Facebook, which went public in May of 2012, made the list for the first time. Its CEO, Mark Zuckerberg, 28, is the youngest on the list. February 21, 2013  Corporate tax credits improved its profits, but those were tempered by the payroll tax increase on its customers.